Becky Smith has only been in real estate since 2015, but the RE/MAX Properties agent knows how to help Chattanooga home owners transition through a move as well as anyone. Born and raised locally, she has lived all over the world while her ex was in the Air Force, moving from Cleveland to Atlanta, Tulsa to Oklahoma City, even doing a stint in England. She most recently lived in Dalton, Georgia, until she moved back to Red Bank to care for her mother. She stayed because she loves the community. Smith says she’s happy to be back in the area where her father, the late JD Lewis, was a coach and teacher at Red Bank and Hixson for many years. Her stepdad, Bobby Gordon, was a local pharmacist who helped many people in the community. And her mom, Sylvia, raised five kids and helped with handicapped and homeless children. “Being raised to support and respect people, I feel that I can help anyone that has a need for buying or selling their home,” she explains. Aside from real estate, Smith loves spending time with her children and grandchildren, going to the beach, and finding furniture and other things to sell in her antique booth at Vintage and Moore in Red Bank. Antique hunting is a skill she picked up from her father. Smith talked with the Hamilton County Herald, pointing out how she is able to help families go through something as stressful as a move, how to snag a home in the current hot market and which parts of town are most desirable to buyers right now. You said you want to help people with the hard transition of moving. How so? 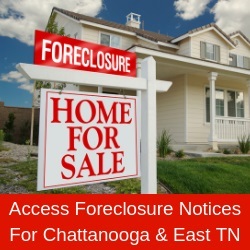 What are buyers looking for now in Chattanooga? Are people worried about another real estate crash? For such a hot market, how can people get a house when they find the one? Is there anything people should do when they walk through a home? “I always recommend to get a home inspection that gives you peace of mind, and discuss their home warranty. I always ask the seller to pay for a home warranty. “When people are from out of town they ask which area they should live in – they have looked in Soddy-Daisy, they’ve looked downtown, they’ve looked in Hixson, they’ve looked in Ooltewah, nothing. So I will ask what do they like to do? Do you like to cook, or do you like to go out to dinner, or do you like events? What is it that you like to do? “If you like to go out and do things more than likely downtown would be better than Soddy-Daisy. “Actually, I worked in the medical field. I helped manage an Urgent Care for Hutchinson Hospital, and they went bankrupt. And then I was a medical assistant in several clinics, and then I ended up managing some. “After Hutchinson went bankrupt, I lost 158 PTO (paid time off) hours. So, I decided I’d just as soon work for myself. I always wanted to do real estate, and I finally had the opportunity. The kids are grown and there’s stability in it. I can really concentrate and give it 100 percent. “If I am going to give somebody else 158 hours, then I might as well give them to myself and work for myself.